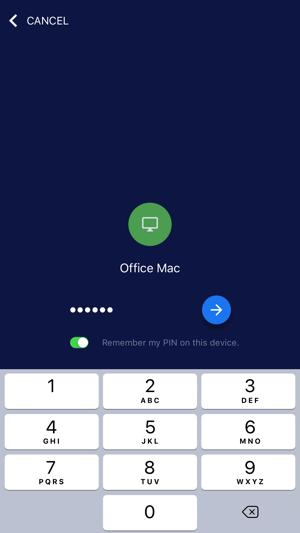 Securely access your computer from your iOS device. It's fast, simple and free. 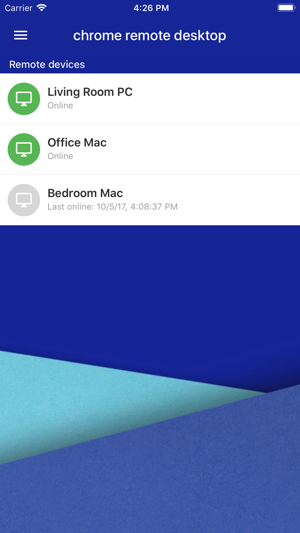 • Download the Chrome Remote Desktop app from the Chrome WebStore on the computer you want to access remotely. • Install Chrome Remote Desktop software and follow the instructions to complete setup. • Better panning and zooming experience on iPhone X.
I have been using this app for a while now and it has been incredibly useful in so many situations but there is one thing that bugs me so much; The app needs is own custom Keyboard, a semi transparent, customizable keyboard. It bugs me quite a bit that they haven't thought to do it yet because it is nessessary! How is anyone supposed to use Esc or any of the other essential keys?! A 4 layer keyboard would be great, first layer has the letters, backspace, Shift/CapsLock, space bar, return/enter and the main punctuation marks ( like most regular keyboards); And again like most keyboards there would be a second and third layer of numbers and other symbols and then ANOTHER layer that has all the Esc, Ctrl, Shift, Windows, Tab, Print Screen, F1-F12 buttons among others. 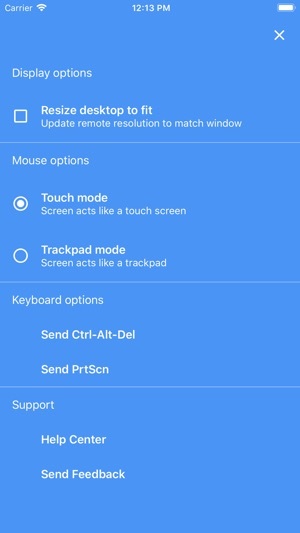 That would really bring it all together, and instead of having it integrated make it a custom Keyboard that you have to enable in settings and all that but have its option settings in the app. 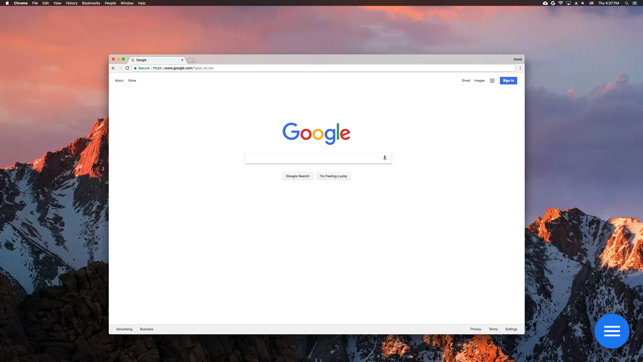 I hope you would take this suggestion into consideration because it would be so helpful to most of not all users of the Chrome Remote Desktop app. - Latency can be reduced. I have a feeling it is something to do with the app, because it will lag on my iPod while my laptop is running quite fine. - Add mouse wheel, left click, and right click buttons off to the side when using the mouse. That would be a nice addition and add more functionality to the mouse. - Fix the mouse sync. When I move the mouse on my iPod, it is in sync with my laptop, but when I move the mouse on my laptop, it does not sync with the mouse on my iPod. - Add full screen support. I noticed that apps in full screen will not appear on my iPod. - Earlier I said I like to toy around with it. It is pretty fun to play games on my laptop through my iPod. This goes along with the mouse sync part, but it would be nice if the mouse in the app would go to the center of the screen when playing games. It makes it a little hard to play games when, depending on where your mouse is, you constantly make a hard left. Oh well! If you did these things, it would still be worth more than 5 stars! Keep up the good work, Google! I’ve been using Chrome Remote Desktop for a couple years and it has worked very well, consistently. Just tried this new version and I can definitely see the performance improvement. That’s very nice. 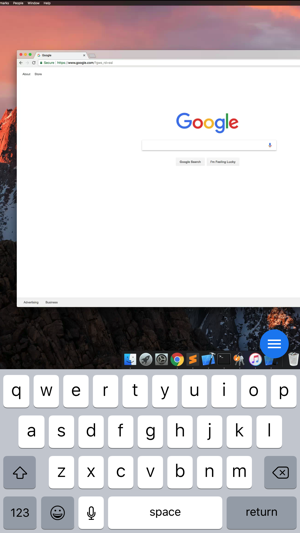 The bad news is that Google changed the user interface. It takes two presses to bring up the keyboard or change the mouse mode, instead of one. (I wish there was a “shortcut” press [3D?] to quickly change mouse mode or toggle the keyboard.) Also, the new titles given to the two mouse modes are not helpful. In the previous version and this new version, iOS dictation and keyboard shortcuts (like auto-capitalization at the start of a sentence and adding a period after pressing two spaces) do not work. Still all in all, a great app that I love and highly recommend.